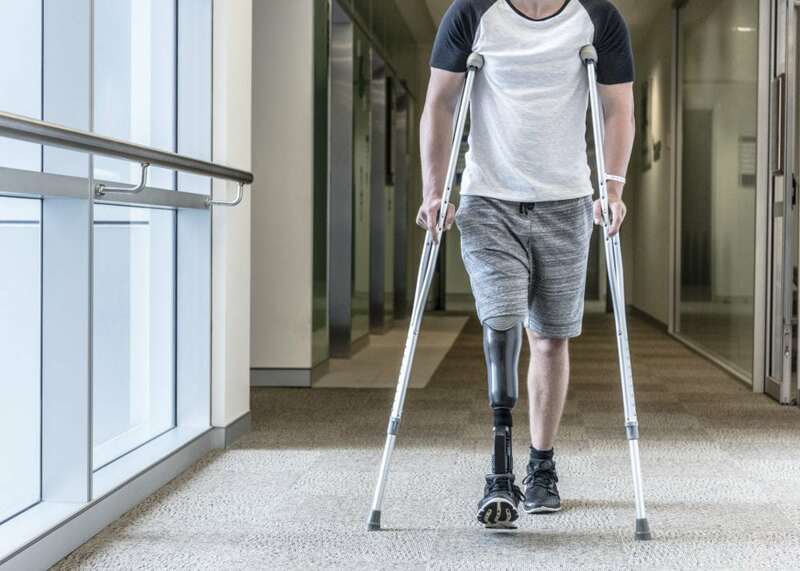 Phantom limb pain is a common–and commonly misunderstood–condition that affects amputees. Dr. Richard Sherman explores how biofeedback therapy can be used as an effective treatment. Phantom limb pain is a condition that affects amputees, causing them to feel pain or sensation that seems to emanate from the missing limb. It is a commonly misunderstood condition. So, Saybrook faculty member Dr. Richard Sherman, Ph.D., is helping to clear some things up. Let’s explore phantom limb pain, its causes, and biofeedback therapy as a treatment below. What is phantom limb pain and what are its symptoms? Virtually all amputees experience at least some sensations which seem to emanate from the amputated portion of a limb. These sensations may be intermittent or continuous, and range in intensity from nearly nothing to excruciatingly painful. They are frequently described as itchy, warmth, unusual position, or a “pins & needles” sensation. An amputee may experience only one or many of these sensations simultaneously or at separate times. Just as with phantom sensations, an amputee may experience only one or many of these sensations simultaneously or at separate times. The pain may be intermittent or continuous and intensity generally varies tremendously over time. While U.S. military veterans aren’t the only population who experience phantom limb pain, they do make up a large population. And surveys of many thousands of U.S. veterans have proven that nearly all amputees experience phantom pain with about half finding it debilitating at times. Most want treatment but few tell their health care providers that they have the problem let alone request treatment for it. Sadly, those who find it debilitating tend to “self-medicate” in excess with alcohol, and other drugs. They don’t want their health care providers to think they are nuts. The “word” in the amputee community is that any time a health care provider is told about phantom pain, the provider’s trust in the patient goes to nearly zero – and many are referred to psychiatrists. When treatment is provided, it is not only ineffective but is frequently physically exhaustive, like a major surgery. They want to return to their pre-amputation activities so they don’t want reports of phantom pain to interfere with a prosthetic provision. What are phantom limb pain causes? While phantom limb pain has been reported for hundreds, if not thousands of years, its causes have been unknown until recently. As recently as the American civil war, everybody “knew” that people could still feel their amputated limbs. Thus, if a person reported burning sensations from the phantom limb pain, it was because the amputated limb had been burned. The same logic applied to crawling feelings (worms in buried limbs), and biting feelings (fish eating limbs that were thrown into lakes). It wasn’t until recently that clinicians realized people couldn’t actually feel what was happening to their amputated limbs. Sadly, the general conclusion was that the problem must stem from psychological problems such as the “pain” of “grieving” for the lost limb. Surgeons felt that there must be something wrong with the remainder of the limb – even if they didn’t know what – so they frequently cut off more of the stump to solve the problem. Without actual evidence of underlying physiological and anatomical causes of phantom pain, there was no way to develop mechanism-based interventions. Thus, clinicians eventually wound up trying over 63 unrelated treatments – ranging from benign massages through horrible neurosurgical procedures – on many thousands of amputees. No actual follow-up studies of their effectiveness were performed so clinicians didn’t realize until recently that nearly all were useless. Many of these unsubstantiated interventions are still being used today. It is important to know that the actual physiological mechanisms causing burning and cramping descriptions of phantom pain have been identified. Knowledge of mechanisms has led to the development of effective treatments such as biofeedback therapy. Instruments such as biofeedback devices help the therapist and patient recognize what is happening in the body and how well control strategies are working. This makes biofeedback training an extremely important technique which every clinician of any background can incorporate into his or her practice. Biofeedback is the process of using psychophysiological recording techniques to monitor one or more physiological parameters whose malfunction is causing the pain and showing the instantaneous levels of the parameters to the patient. The patient and therapist use the information to change the level at which the parameter is functioning from a pattern leading to pain to a pattern which avoids the onset of the pain or stops the pain. Biofeedback is an excellent tool for showing the therapist and patient what a physiological parameter (e.g. tension in the muscles of the residual limb or heat emanating from the limb) is doing. This process of recording and immediate display cannot be used alone for either assessment or treatment as it provides no integral interpretation of the display’s meaning. It has to be incorporated into some logical therapeutic process aimed at eliciting meaningful responses. Biofeedback is one tool among many in a professional’s armamentarium. It provides one bit of the information needed to make decisions and is only one element of the treatment process. Modern biofeedback devices range from tiny ambulatory recorders to larger units meant to be used with personal computers. Virtually all of them are highly sophisticated, microprocessor-based systems which can provide unparalleled quality and flexibility in signal recording and display. Nearly all of the controls are accessed through the computer’s software. For more information on biofeedback, check out my introductory YouTube video. Interested in pursuing a degree in psychophysiology? Explore graduate-level psychophysiology degrees at Saybrook.